*Except Those Naturally Occurring In Celery Powder. Heat from frozen. Preheat oven to 425°F. Place directly on center rack of oven and bake for 8 to 10 minutes or until cheese is melted and slightly brown in color and crust is golden. Note: time and temperature may vary with oven. Do not allow pizza to thaw. Do not eat without cooking. We’ve made no secret about being pizza lovers. We’ll eat it for breakfast, lunch and dinner and not get tired of it. But will factory frozen pizza ever beat a fresh-from-the-oven, hand-pulled pie? In short, no. 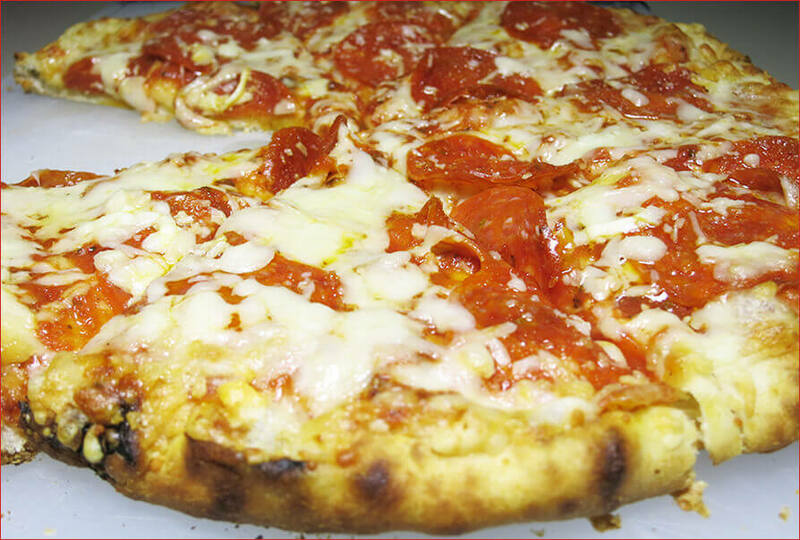 But this Wood Fired Naples Style Uncured Pepperoni Pizza from TJ’s comes pretty close. It was surprisingly damn good. The pepperoni tasted premium and added a welcomed savory flavor, the cheese was flavorful and multidimensional (there’s 4 kinds of cheeses packed in there! ), and the tomato sauce had a subtly sweet flavor that balanced the entire dish nicely. The crust was thin, light and crispy, and the “wood fired” aspect added a nice hint of char into the equation. On the down side, the crust could have been more flavorful – it seemed like your basic bland crust. It was a bit of a letdown considering the rest of the pizza was mostly stellar. 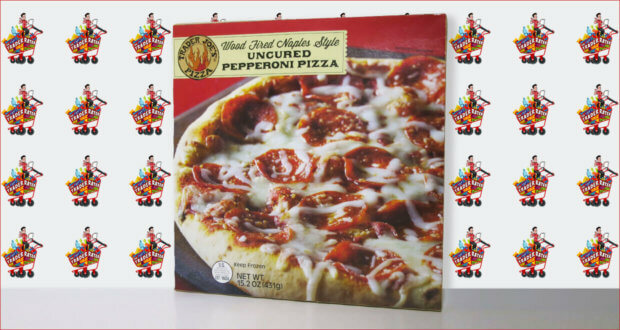 Overall, we were impressed with this frozen pizza from Trader Joe’s. It was one of the best varieties we’ve had from TJ’s, and it’s definitely part of our pizza night collection. Have you tried this pizza from Trader Joe’s? Let us know your opinions in the comments below! Summary : This Wood Fired Naples Style Uncured Pepperoni Pizza was surprisingly damn good - one of the best varieties we've tried from TJ's.